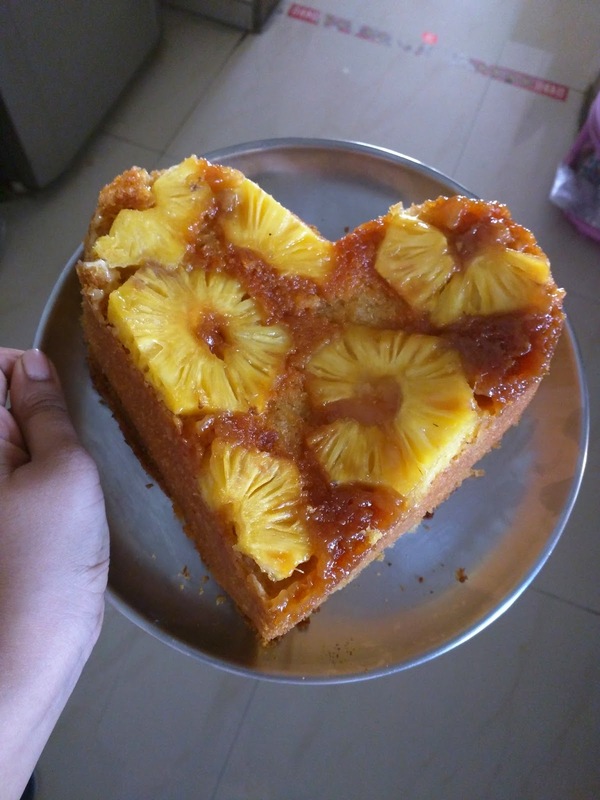 I had been wanting to try making the Pineapple Upside Down Cake since a long time but didn't have a easy eggless recipe. 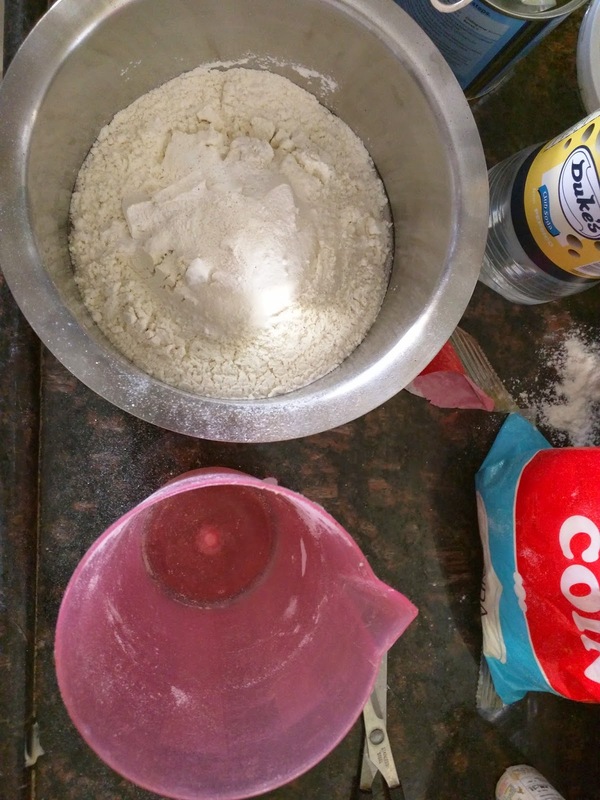 And then I came across Nestle India's Milkmaid website where they have many easy recipes using Milkmaid (Condensed Milk). 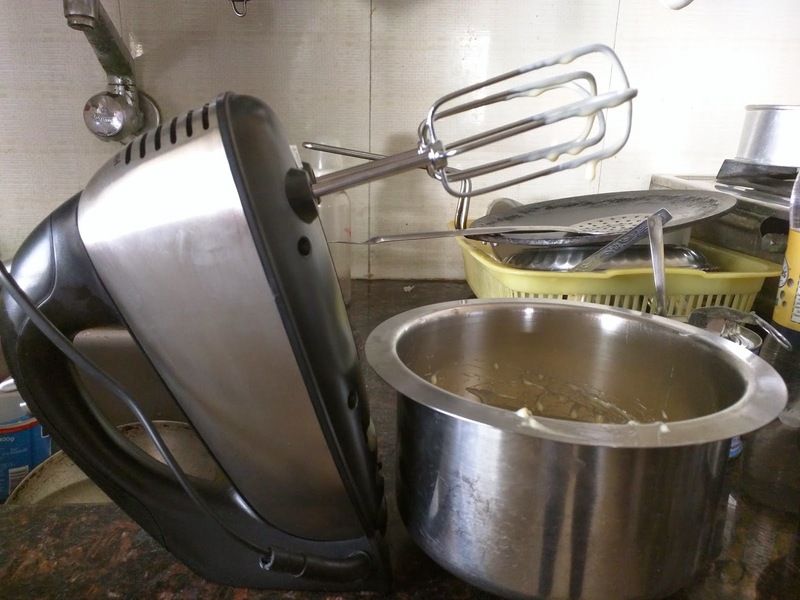 I used Hamilton Beach appliances to mix the batter and bake the cake. Upside down cakes are always glamorous, since you can see the fruity goodness showing off on the top. This one is a classic and must-bake in pineapple season. Tart and sweet, light yet satisfying; try one now and you’ll know what we’re talking about. P.S: Serve with a scoop of our Classic vanilla ice-cream for a soulful dessert experience. Preheat oven to 180° C. Grease an 8" diameter cake tin. Arrange the pineapple slices at the base. 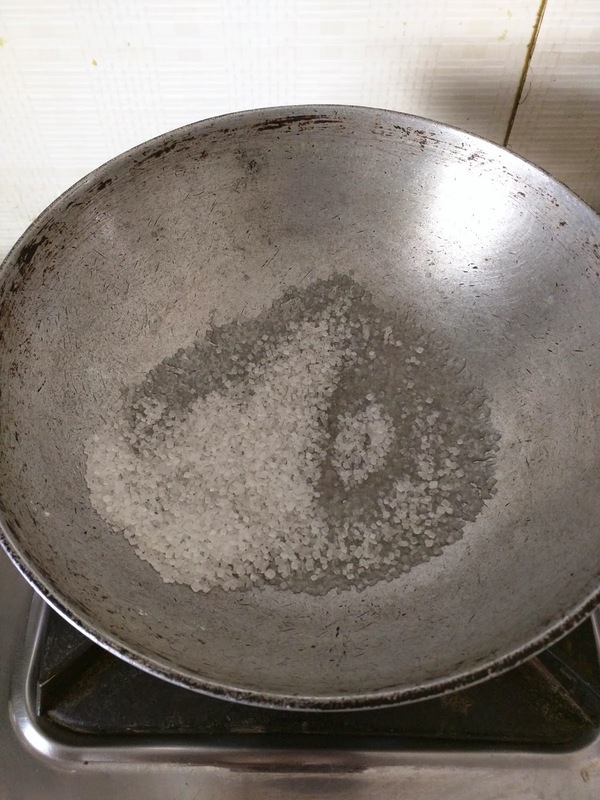 Heat sugar in a pan till it melts and becomes brown. Pour this hot caramel over the pineapple slices and keep aside. Melt butter, cool slightly. Add the NESTLÉ MILKMAID Sweetened Condensed Milk and beat well, add the essence. Sieve together maida, baking powder and soda bicarbonate. Add some maida to the NESTLÉ MILKMAID mixture and then add some aerated soda and mix well. Repeat, alternatively maida and aerated soda till both are used up. 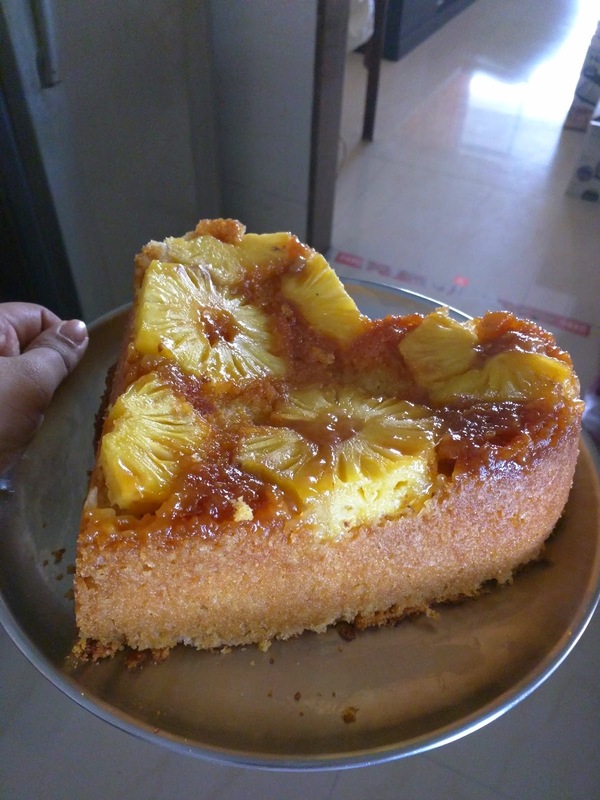 Pour batter over pineapple slices in the cake tin and bake at 180°C for 45 minutes or till cake is done. Remove from oven, loosen the sides of cake using a knife and immediately turn onto a plate. I collected all the ingredients together. I skipped the yellow food colouring as it is optional. I avoid using artificial food colouring as much as possible because it makes no difference to the taste. Also, I used mix-fruit essence instead of pineapple essence because I had the former at home and did not want to purchase a bottle of essence just for this recipe. I don't think it makes a very big difference. Mold greased, pineapple slices placed. 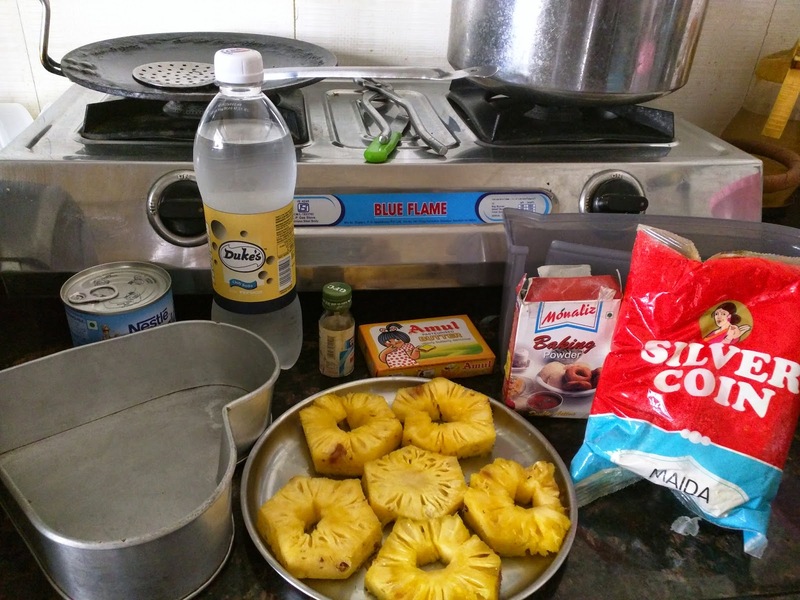 I did not use the tinned pineapples, but fresh ones. In-fact I cut this one on my own after viewing a 'how-to' video! As long as the pineapple is ripe and your knife is sharp, you shouldn't have any problem with this. This is very tricky, the sugar takes time to melt, but once it does, it turns brown very quickly and hardens very quickly too. 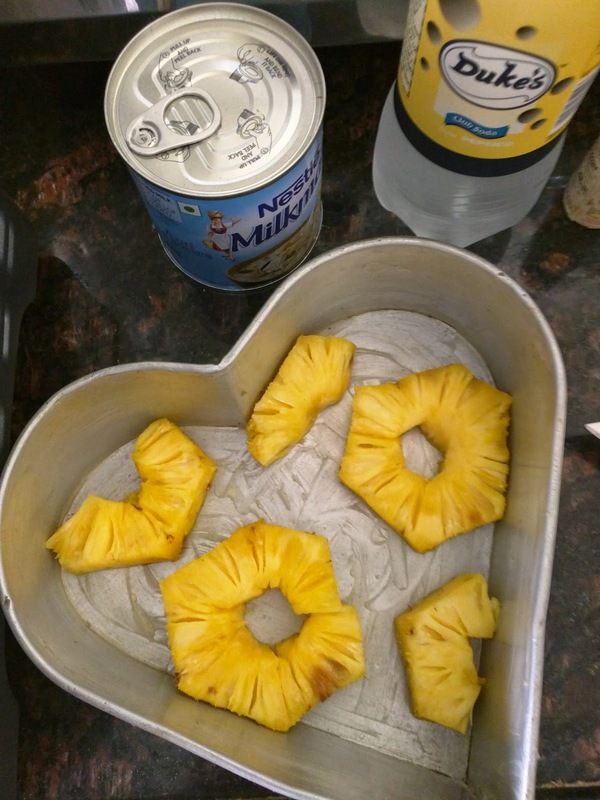 You have to be quick to pour it over the pineapple slices. Don't worry if it looks messy, when you bake the cake, the sugar will melt again and spread. I'm using the Hamilton Beach roll-top OTG here. 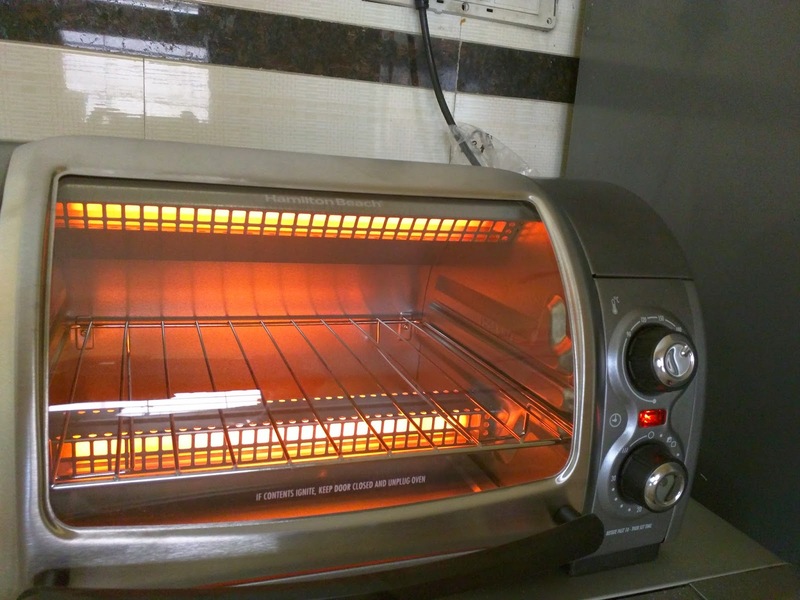 It is a easy to use basic 4 toast size oven. It is a small sized one so you might not be able to put big molds in it. Cupcakes should come out beautifully though! Used a Hamilton Beach classic hand mixer here. It has 6 speeds + a burst mode so you can go as slow or as fast as you want! Comes with a cover to set mixer on. 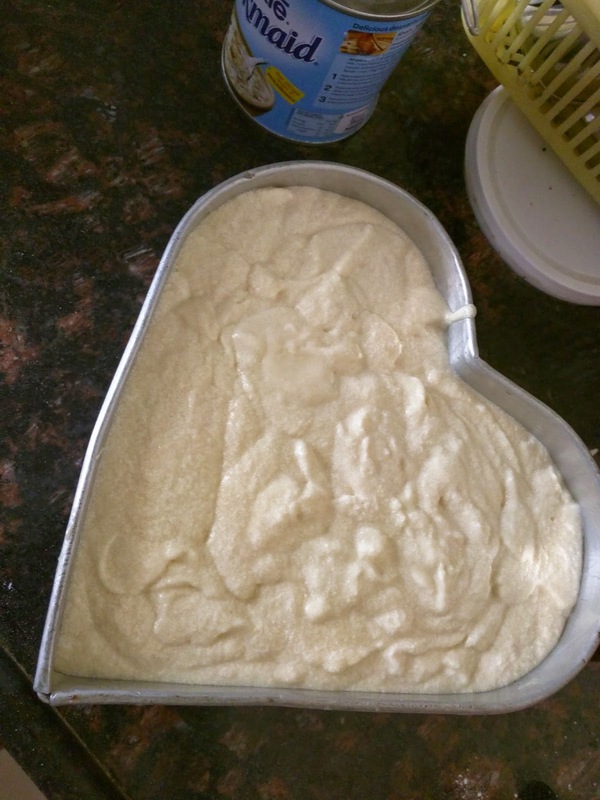 Maida, Baking powder and Soda to be sieved together. To make my cakes a little healthier, I sometimes use half the quantity of maida and half of whole wheat flour. You can try that if you're upto it! Add flour mixture and soda turn by turn and beat well till it's all over. 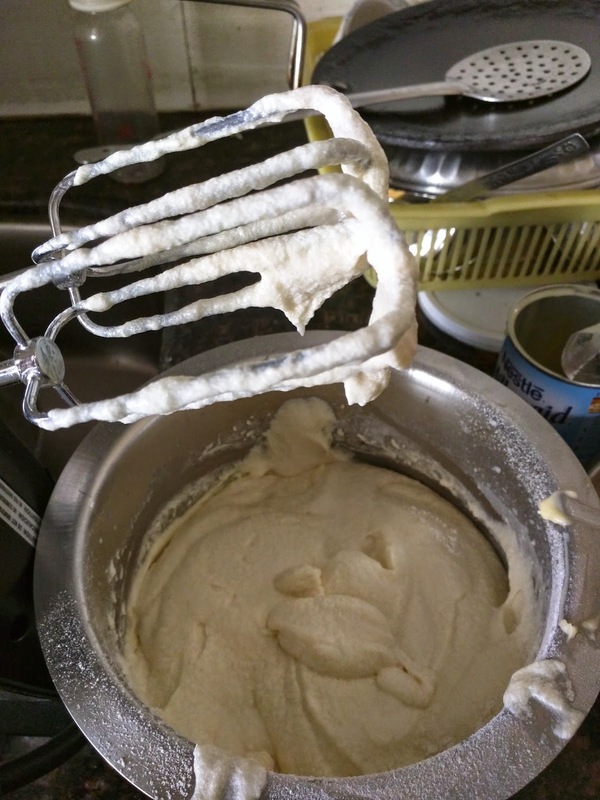 You can use a whisk to mix by hand also, but that takes more time and effort, and the batter will not be as creamy fluffy and light as you get using a hand mixer. Time to pour it in the mold and put to bake! All set to be baked! Put in the oven at 180 degree celcius for 45 minutes. The cake came out beautifully done. Though this recipe first rises up like crazy and then settles back down, so keep in mind to use a mold that has enough space for the batter to rise or else your batter will overflow and drip. The cake is moist, soft and just so yummy! You can either have it fresh warm out of the oven along with a dollop of vanilla ice-cream, or you can refrigerate it and have it later! 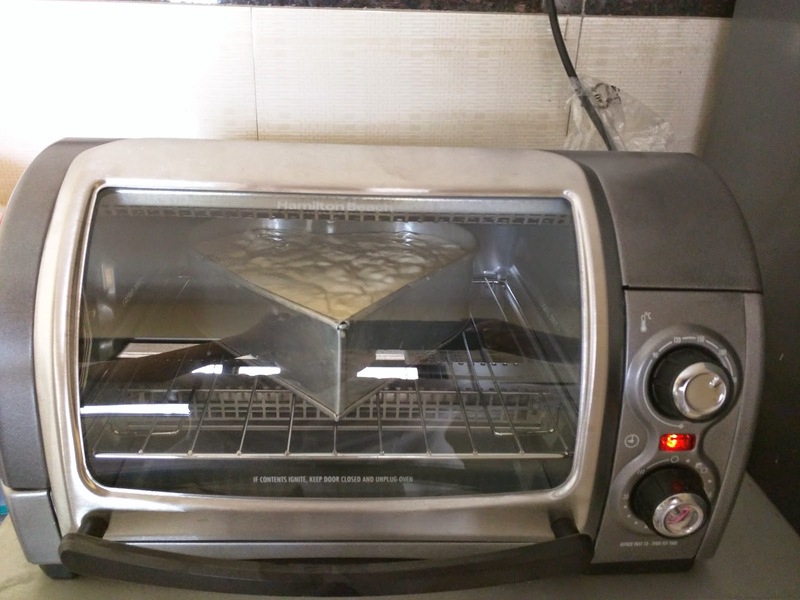 Disclaimer: This blog is a part of Blogadda's campaign for Hamilton Beach India.